A publication has been slammed after misquoting and mistranslating what the deputy president said in parliament. VhaVenda people on Twitter have united against reports claiming Deputy President Cyril Ramaphosa called Democratic Alliance (DA) MP Dean MacPherson “stupid” during parliament’s Q&A session on Wednesday. 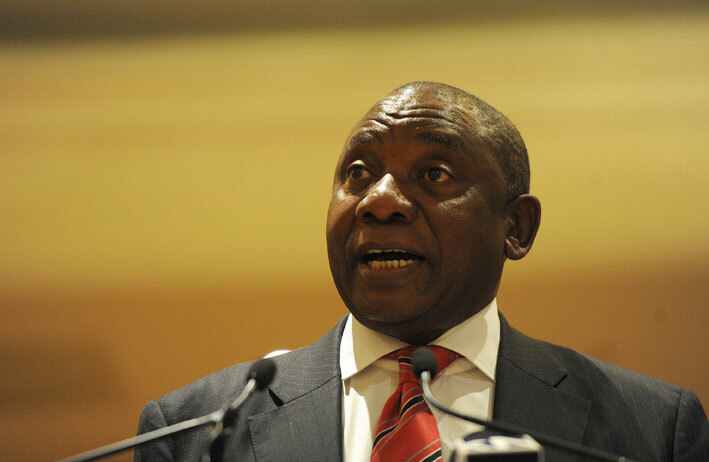 MacPherson asked Deputy President Cyril Ramaphosa a question that left the deputy responding in TshiVenda, saying it would help the MP understand the aims of his trip to the World Economic Forum in Davos, Switzerland, better. MacPherson had questioned the credibility of team SA’s message of cohesiveness, when the ruling party was “at war with itself”. His question was based on the SACP reportedly having described government’s plan of radical economic transformation as “nothing but hot air”. “By your own admission deputy president, your government is at war with itself,” he said. This was Ramaphosa’s response: “What we were selling was your South Africa; our South Africa; our country; our people, that’s what we were selling. We were not selling a narrow vision of a particular party, we were selling a vision of all of us. That’s what we were doing in Davos. This second part is what has caused an uproar on social media after reports claiming the deputy president called MacPherson “stupid” in parliament when he did not. In fact, Ramaphosa did not insult anyone, and did not call anyone names. There was no mention of the word, “stupid”, which is Tshidahela in TshiVenda.